Are you looking for the perfect way to wish someone a happy birthday? These sweet and salty treats fit the bill! We’ve taken our oversized pretzels and bathed them in our imported Belgian chocolate. 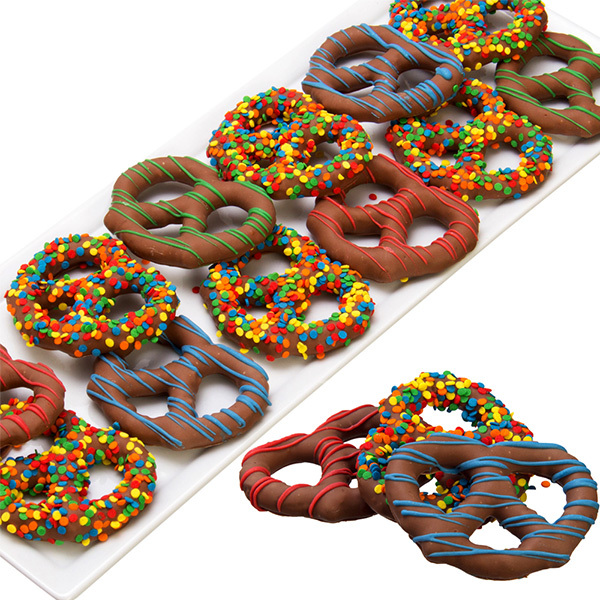 Each pretzel is then hand-decorated with our tasty decorations, such as our brightly colored candy sprinkles. Bring a smile to anyone’s face with these delicious birthday pretzels!